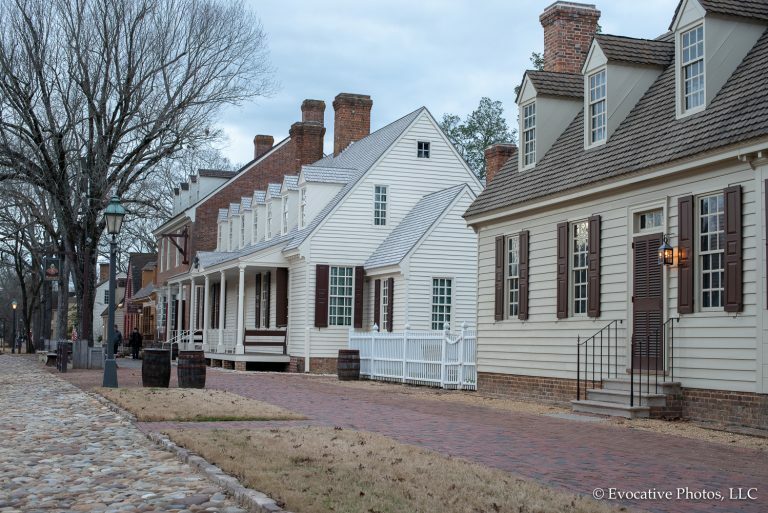 We took a short trip down to the historic triangle which encompasses colonial Williamsburg, Jamestown and Yorktown. This is not a trip to be missed. Jamestown was the first permanent English settlement in the new land and the place where the mighty British Empire established its first presence. Not surprisingly, Jamestown served as the first capitol of the Colony of Virginia, from 1618 until 1699. It was also the home of the county’s courthouse. Williamsburg, VA, USA — January 9, 2019. 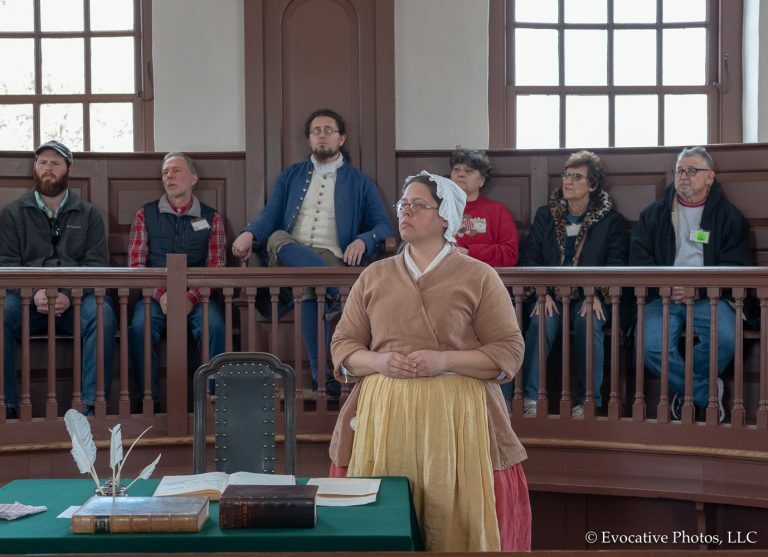 Actors in period costume, surrounded by tourists, put on a mock trial in colonial Williamsburg. It is difficult in the modern age for us to even imagine the dangers and hardships the settlers endured. For instance, from 1609 to 1610 over 80% of the settlers perished from disease and starvation, in what came to be known as the “Starving Time”. During this time the the settlers dug graves for the fallen, but hid the site so the Indians wouldn’t realize how weakened their position had become. 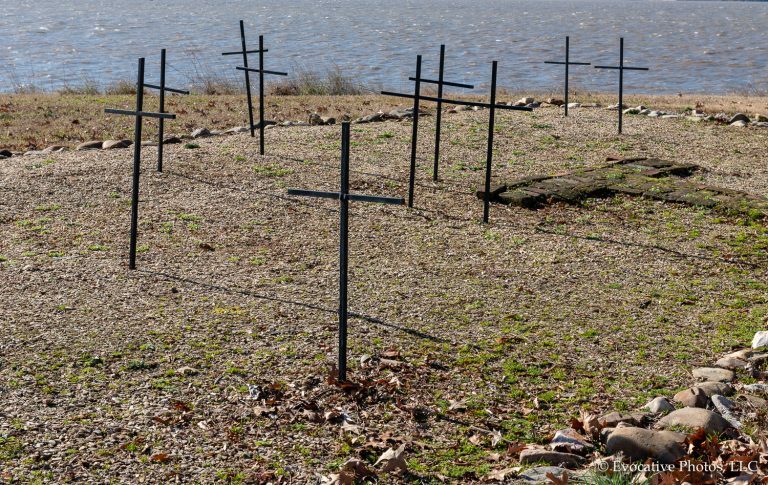 A simple gravesight, recently discovered, secretly established by early settlers of Jamestown VA. It was also in Jamestown that the first Africans arrived—aboard a Portuguese slave ship. Thus began America’s long history with slavery, which was not to end until the civil war (1861—1865). But some effects linger to this day. Yorktown, VA, USA — January 10, 2019. 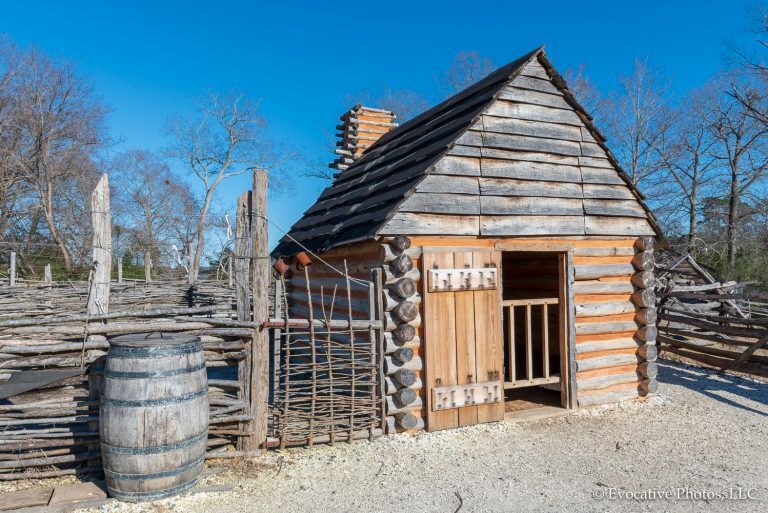 Photo of a small reconstructed wooden building that served as slave quarters on a Yorktown farm during the colonial era. Four to six people would have been housed here. Virginia is a living museum to the American experiment in self government, and the historic triangle of Williamsburg, Jamestown and Yorktown tells an important part of the story. Williamsburg, VA, USA — January 9, 2019. Photo of horses, carriage and drivers in period dress by a hitching post by shops on the streets of colonial Williamsburg. Williamsburg, VA, USA — January 9, 2019. 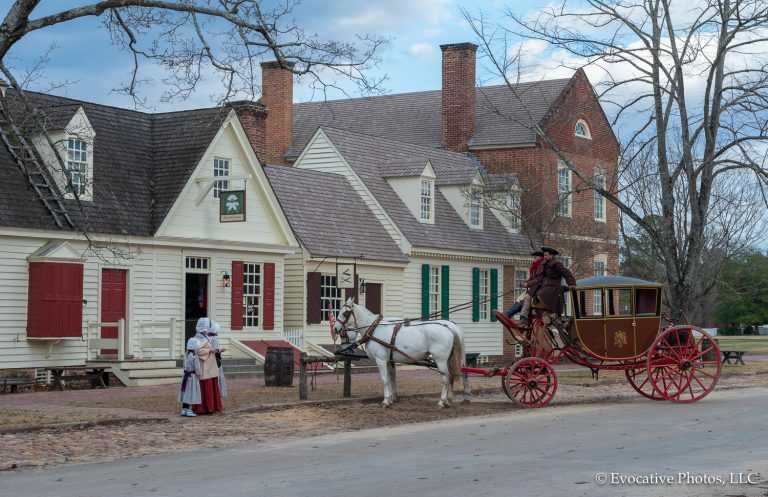 Photo of shops, pubs and Inns in colonial Williamsburg, VA on a cold and cloudy winter day.